One day Monty found a book, Inventions Very Rare. Create yourself a monster friend BUT ONLY IF YOU DARE! This brand new show from the creators of Aliens Love Underpants is monster-ously good! Follow the young inventor Monty as he creates a whole world of whacky inventions and incredible monsters. But he has a problem – now he has made them all, what is he going to do with them?! Take part in our FREE STAMP IT: Monstersaurus activities. Join local artist and monster maker Emma O’Brien before and after the Monstersaurus show to create your very own monster friend. Using the materials provided, you can create your very own friendly/scary/funny monsterous character that you can take into the show or leave in Monster-ville for collection after the show. 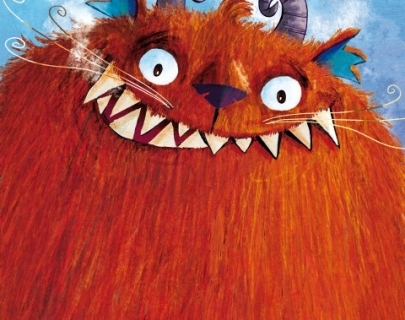 Emma O’Brien is an illustrator and soft sculptor that has been drawing and creating monsters for the past 10 years. She will also have a selection of her own monsters available for you to give a home to.